If you love peaches but don’t have a landscape that can sustain a larger tree, try growing a Southern Belle nectarine. Southern Belle nectarines are naturally occurring dwarf trees that only reach a height of around 5 feet (1.5 m.). With its fairly diminutive height, the nectarine ‘Southern Belle’ can easily be container grown and is, in fact, sometimes called Patio Southern Belle nectarine. Southern Belle nectarines are very large freestone nectarines. The trees are prolific, bloom early and have a fairly low chilling requirement of 300 chill hours with temperatures below 45 F. (7 C.). This deciduous fruit tree sports large showy pink blossoms in the spring. Fruit is mature and ready to be picked in late July to early August. Southern Belle is hardy to USDA zone 7. 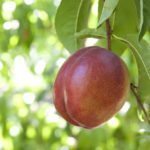 Southern Belle nectarine trees thrive in a full sun exposure, 6 hours or more per day, in sand to partial sand soil that is well-draining and moderately fertile. Southern Belle tree care is moderate and routine after the first few growing years. For newly planted nectarine trees, keep the tree moist but not sodden. Provide an inch (2.5 cm.) of water per week depending upon weather conditions. Trees should be pruned annually to remove any dead, diseased, broken or crossing branches. Fertilize Southern Belle in the late spring or summer with a food that is rich in nitrogen. Young trees need half as much fertilizer as older, mature trees. Spring applications of fungicide to combat fungal disease should be applied. Keep the area around the tree free from weeds and lay 3-4 inches (7.5 to 10 cm.) of organic mulch in a circle around the tree, taking care to keep it away from the trunk. This will help retard weeds and retain moisture. 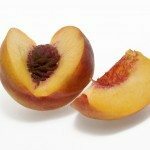 Read more articles about Nectarines.